Pip Arnet has only recently moved in with the love of her life, Jack, in a cottage on his family's vineyard in Tasmania. Whilst Jack has dreams of buying and expanding the property from his retired parents and starting a family, Pip is being pulled in all directions with the urgent need to complete her PHD in Marine Biology due to funding cuts, demanding family commitments, and her part-time job in a swank Hobart restaurant specialising in fresh, seasonal produce. Pip is not just a dish pig, but instrumental in creating new dishes due to her passion and knowledge of herbs, and particularly the local seafood. Pip and Jack receive a set of very old cooking pots as an engagement present, in which are found centuries old documents written in French. Investigations trace the pots back to previous generations in Paris and the documents include recipes utilising the local herbs of the day. When Pip chooses to complete her studies rather than travel to Italy with Jack who is following his dream to learn more about wine grapes, their relationship is deemed over. Pip loses herself with deeper involvement in the Hobart Restaurant, and her ever developing talents in this area take her to Spain where she trains with another Chef, learning and sharing the knowledge of local paddock-to-plate food preparation, including walking along Camino de Santiago foraging for fresh foods. 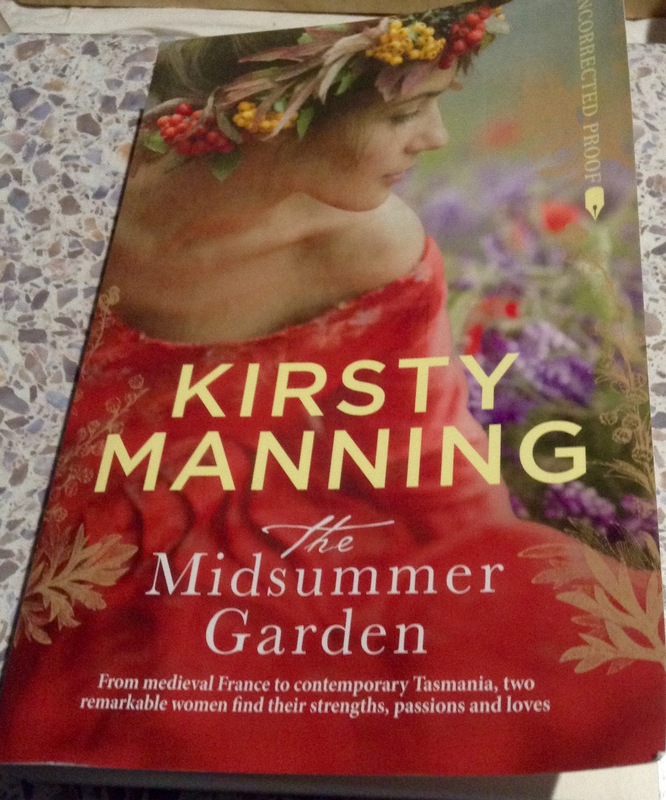 As part of her personal journey, and with the offer of study at a French Institute in her chosen field, Pip travels to Paris and learns more about the recipes that originated from the kitchens at Chateau de Boschaud, prepared by a young lass by the name of Artemisia. Artemisia is too young to be in charge of the kitchen, but her knowledge of herbs has her organising and presenting the wedding feast for Lord Boschaud as far back as the late 1400's. Pip, of course, meets up with Jack in Tuscany where we learn more about local produce, including rosemary ice-cream - which I really do need to try! A family situation has Pip return to Tasmania urgently, and leads to an ending that satisfactorily ties up all loose ends. This a great story that is full of the flavours of both rich food and landscapes. The senses are teased with the author's descriptions of gardens and you can smell the lavender and herbs which are the soul of all the meals mentioned. Interestingly, when reading about the author the information states " Kirsty loves cooking and has several heirloom pots. With her husband, Kirsty is a partner in an award-winning wine bar in Melbourne". This is Manning's debut novel, though in a previous life she has been a travel journalist and co-written a recipe book - and those interests come shining through. Just wish she had included that rosemary ice-cream recipe! Released 2017 and available from all good book stores.